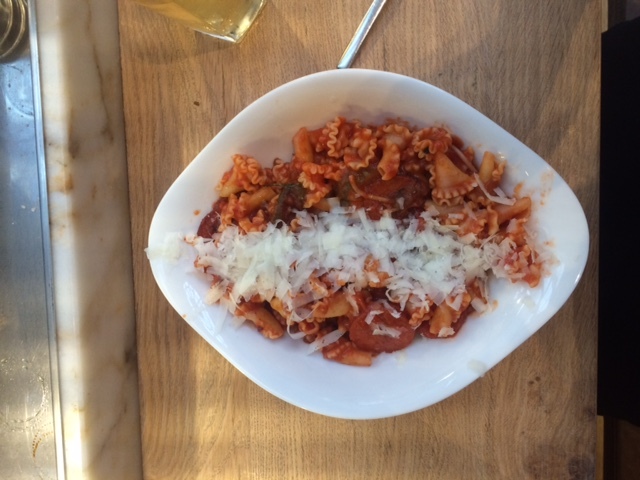 The concept of Vapiano is like no other that I am aware of in Manchester and reminds me very much of several of the restaurants I went to during my time in Copenhagen. Once you go through the door each person is given a card type device. This is used for all your purchases. 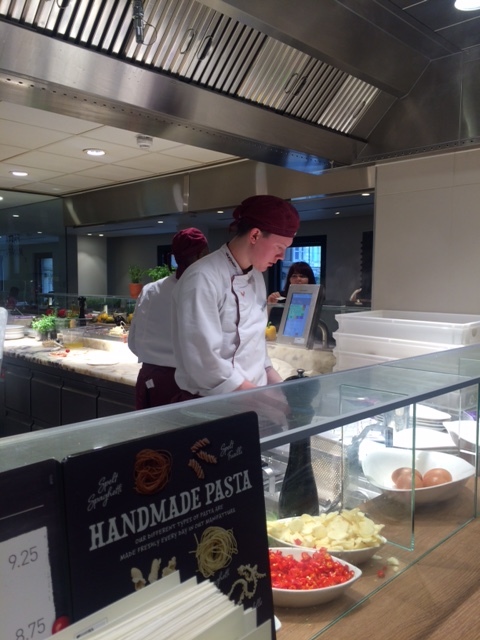 The concept is self-service where you go and help yourself to the food at the counters. Everything is charged onto the chip cards and then paid for at the end when you are leaving. I think of the countless times I’ve had the awkward conversations about splitting the bill and think the concept alone is a great reason to give Vapiano a try. I’d hope to anticipate that many other restaurants in the city will take on this idea! Despite going to the venue to sample their new cocktail menu, I hadn’t really tried the food and therefore was invited back to get more of an idea of what it is like to eat there. I took my good friend Kole and we sampled several things on the menu. 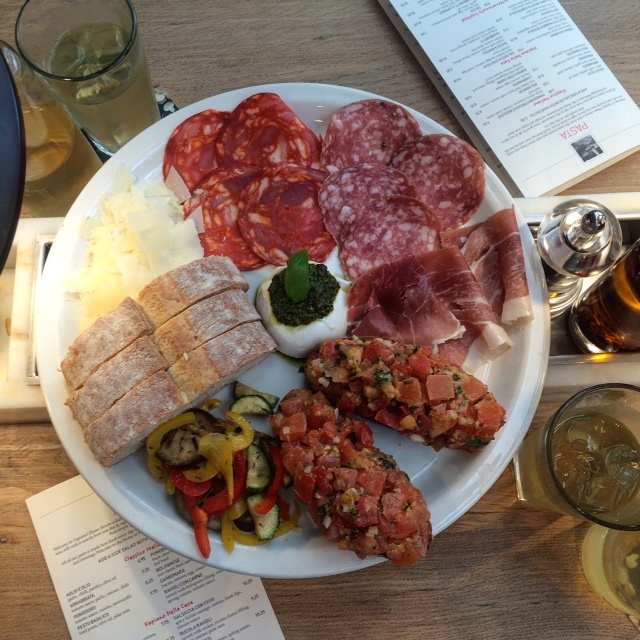 To start we shared the Piato antipasti, a great selection of things to try for two, which included Parma ham, salami, chorizo, roasted vegetables, Grana Padano buffalo mozzarella and bruschetta. My favourite pieces on the plate were the creamy and delicious mozzarella drenched in fresh pesto, and the tomato and herb topped bruschetta. In all, the dish was a great appetiser to nibble before our main. I am very quick to decide on what to eat in restaurants usually, however this time I really found it difficult to settle on a dish, everything on the menu looked delicious, and people passing by with their dishes kept making me change my mind. We went up to the serving bar and I decided I would make a snap decision when asked and plumbed for Salsiccia con fiche, whilst Kole went for the Ravioli. It was so great to see the chefs at work. Watching them cook the dishes allowed you to see how fresh all the ingredients were and I liked how they ask you how you liked everything to be cooked. Did you want extra items, how spicy did you want the dish, did you want cheese? All of these options are taken away when a meal is prepared in the kitchen so it’s nice to be able to have that level of engagement. The salsiccia con fiche was delicious. I chose campenelle pasta which is all made fresh on site each morning, it was smothered in a deliciously spicy chilli sauce with Italian sausage and figs. I can’t think of a time where I have had figs in a pasta dish before but found they were a great addition. Against the spicy sausage and the sauce they were a nice calming addition. Kole’s ravioli was equally delicious and perfectly cooked al dente. Despite being incredibly full already, we had spied the dessert cabinet as we came into the restaurant and spotted the baked cheesecake. There was no way we could leave without having a slice. We also tried the ciocolata foresta nera which was totally unnecessary and indulgent however so delicious. In all we were both really impressed with the food, the prices were also totally reasonable. Everything (apart from maybe desserts) was really healthy and we walked away feeling lovely and full. There is nothing you would want more. We went on a Tuesday evening and therefore the atmosphere was nice and relaxed. I think had we have gone at a more busy time we may have had to wait a bit longer at the station to have our meals prepared, however there were enough chefs on hand to cope with the amount of people therefore I can’t quite comment on what a lunch would be like. 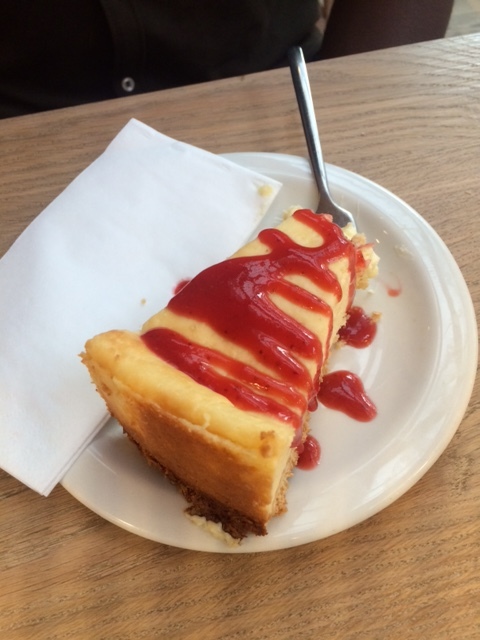 So if a group of your friends are planning on heading somewhere for dinner and you always argue about the bill why not give Vapiano a try where the only thing you may argue about is not sharing your cheesecake. I’d like to thank Vapiano for inviting me to try the menu, if you would like to find out more click here where you can find out more about their new homemade ice creams, the flavours include Green Tea with Coconut Fudge, Dark Chocolate, Cookies and Cream, and strawberries and cream, plus a raspberry sorbet and lemon sorbet. New for summer, I’m already planning my next visit. 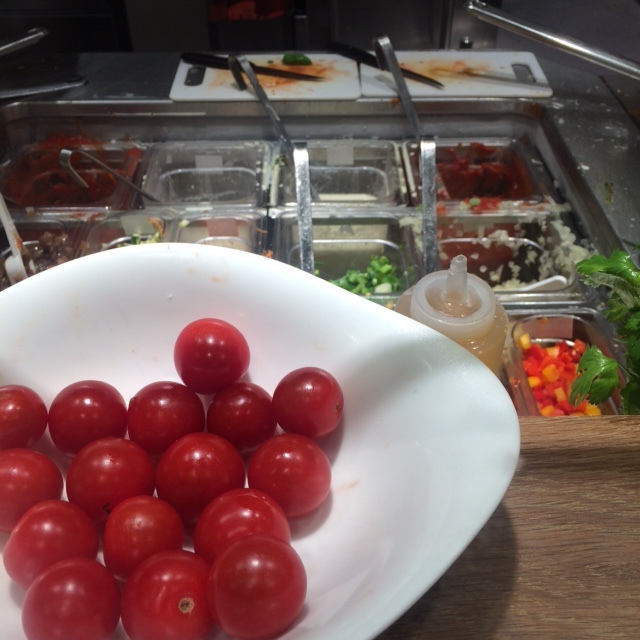 This entry was posted in All Posts, Eating and tagged italian, Manchester, pasta, Restaurant. Bookmark the permalink. Copyright © 2016 Been There, Eaten That - A food and lifestyle blog exploring the new places I find.